Yes an interesting article, my Suegro was a miner and later owned a mine in Torre del Bierzo, before selling out to the equivalent of the NCB, we still have his lamp and helmet as well as the siren from the mine. I will try to find out a bit more from my cuneado about what life was like for his father and any stories that he may have about life for a miners family. 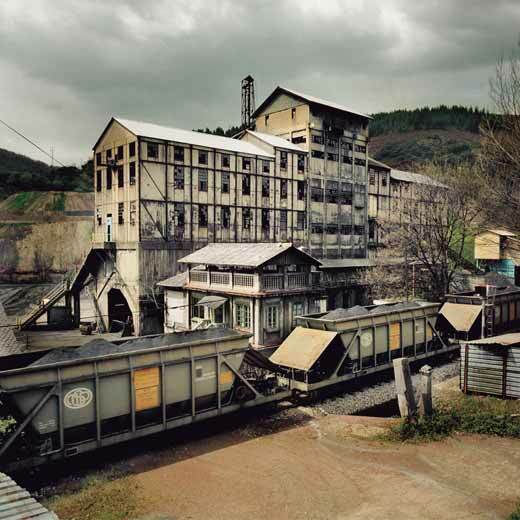 I remember a couple of years ago 5 or 6 miners were trapped at La Silva mine near Torre del Bierzo, the strain on the faces of everyone, showing for days before they were successfully rescued. Thanx for that - certainly an interesting topic for an iberianature forum, as indeed any other kind of mining-related topics (la Ruta de Plata, etc.). I had some difficulty with reading the article but got most of the points and in many ways it was like reading about around Blaenau when I was researching my grandfather's and grandmother's life in the vallies of Wales. The pictures in the article closely resembled photos from the 20s and 30s.I had meant to visit the Big Pit before leaving UK . It would be important for Spain to do something similar as the industry changes. I've been thinking of this article about an illegal open-cast mine in Leon since Nick started the topid but couldn't remember where I seen it then stumbled across it today. La mina a cielo abierto del FeixolÃ­n, una enorme explotaciÃ³n de carbÃ³n en la reserva de la biosfera de Laciana (en LeÃ³n), tiene que cerrar "de forma efectiva e inmediata". AsÃ­ lo ha dictado el Juzgado de lo Contencioso nÃºmero 2 de LeÃ³n en un auto pionero. El juez estima que la mina, que funciona sin licencia ambiental ni urbanÃ­stica desde hace 12 aÃ±os en un terreno protegido, no puede funcionar ni un dÃ­a mÃ¡s y autoriza al Ayuntamiento a enviar a la Guardia Civil para hacer cumplir la orden.